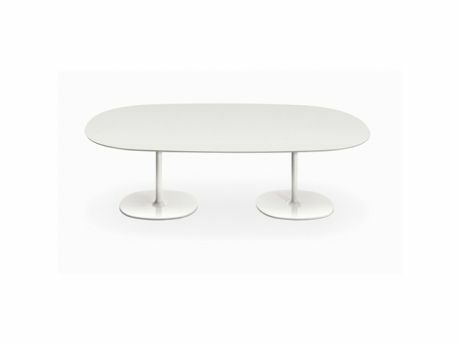 Design Lievore Altherr Molina 2004 for Arper. 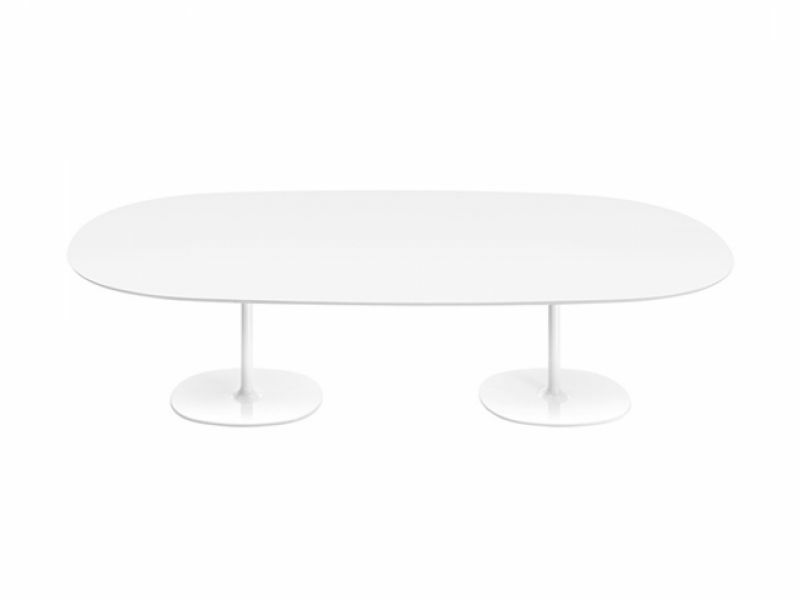 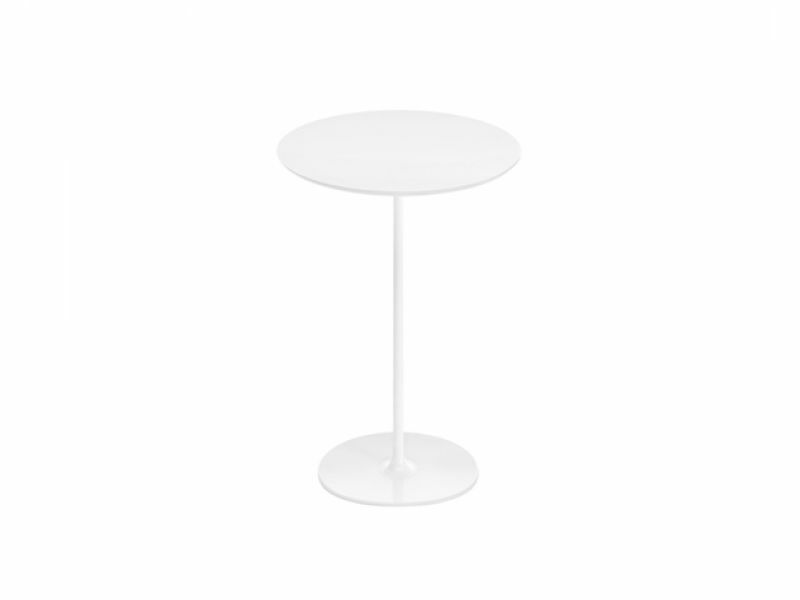 Slender and elegant, Dizzie tables are beautifully suited to the most varied settings and situations in any space. 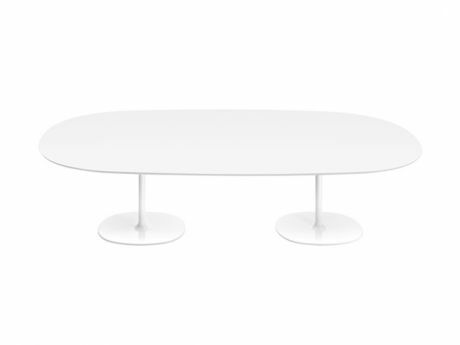 Varying sizes and heights from coffee tables to dining tables and drinks high tables. 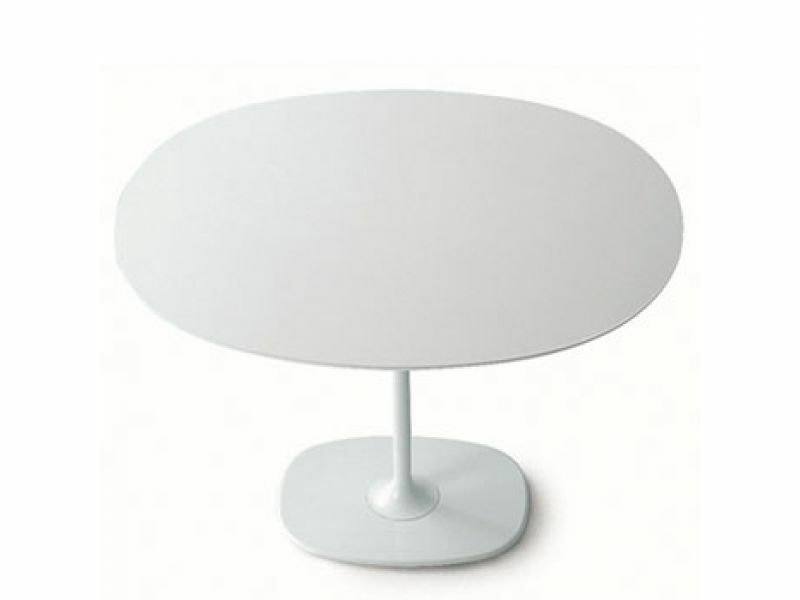 White embossed MDF top with base in V12 white painted finish or chrome. Laminate top in white, light grey or black.